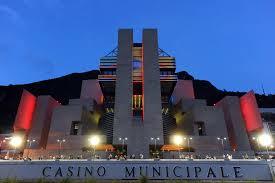 The 7th season of the People’s Poker Tour will start in April 2016: the first event will take place at the Municipal Casino of Campione d’Italia from 7 to 11 April and offer a rich program of tournaments, side events and cash tables. Buried in lush greenery on the shores of lake Ceresio, Campione d’Italia, the only Italian exclave in Switzerland, is just 60 km from Milan. Its strategic position, picturesque scenery and the numerous attractions of its Casino all combine to create a magical atmosphere. Campione d’Italia is nature, art, a warm welcome and above all, a tradition of entertainment and gaming.